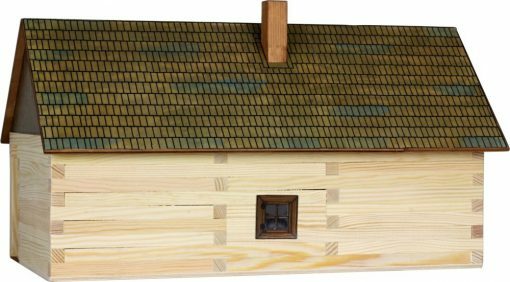 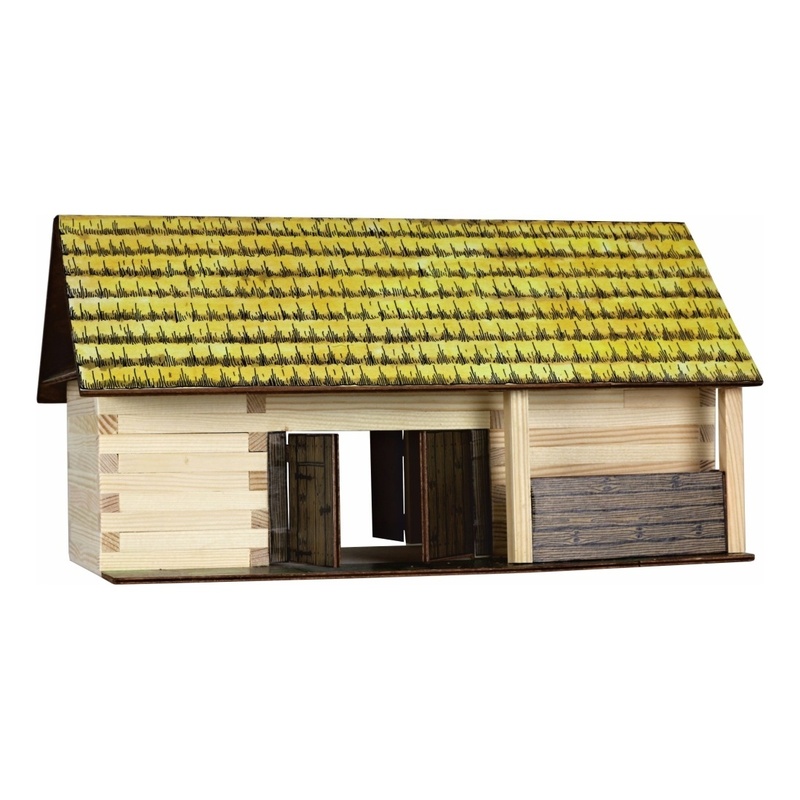 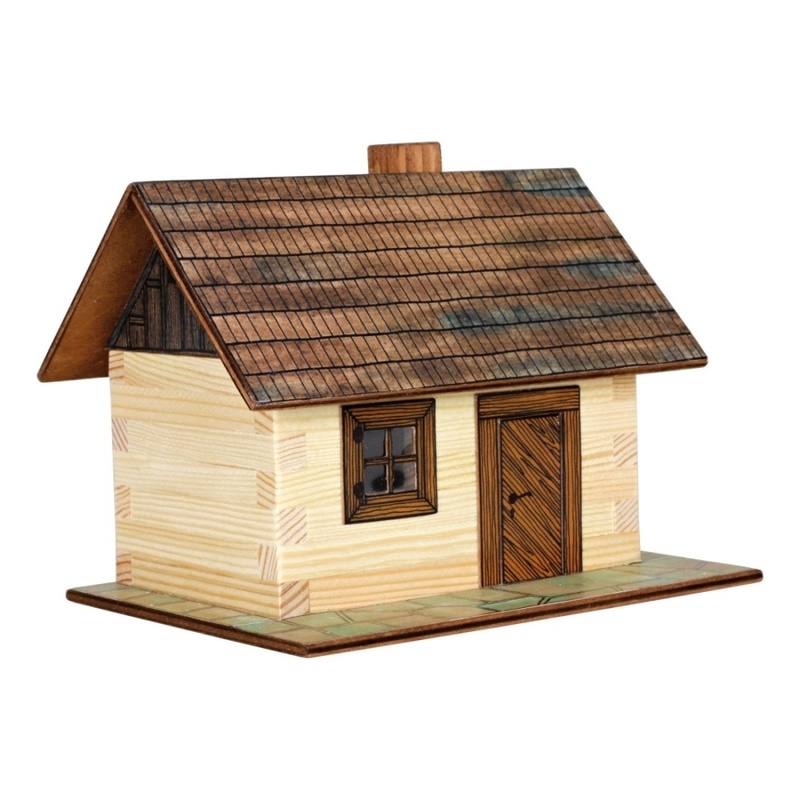 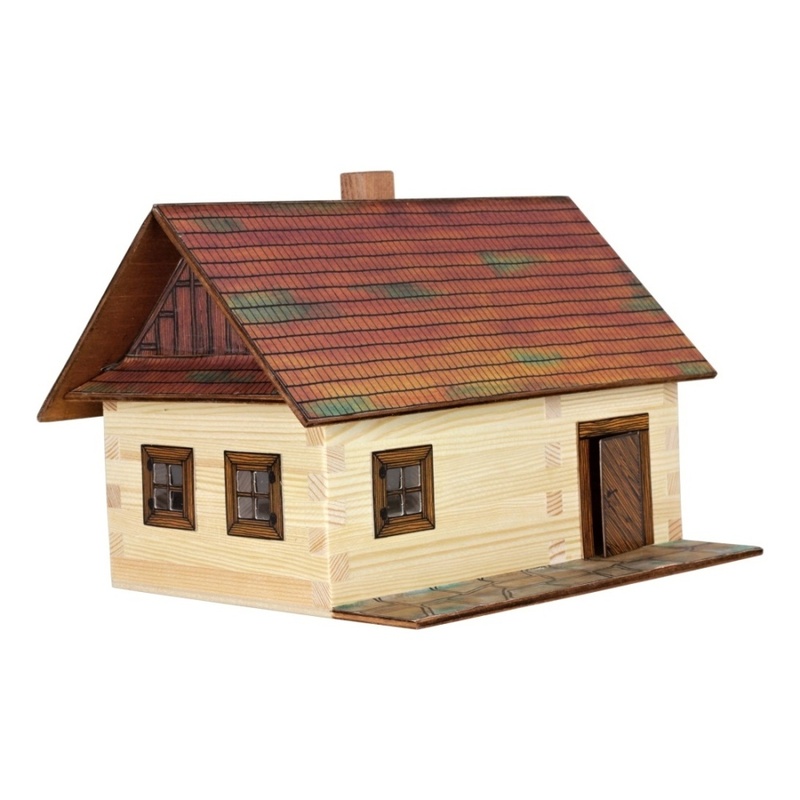 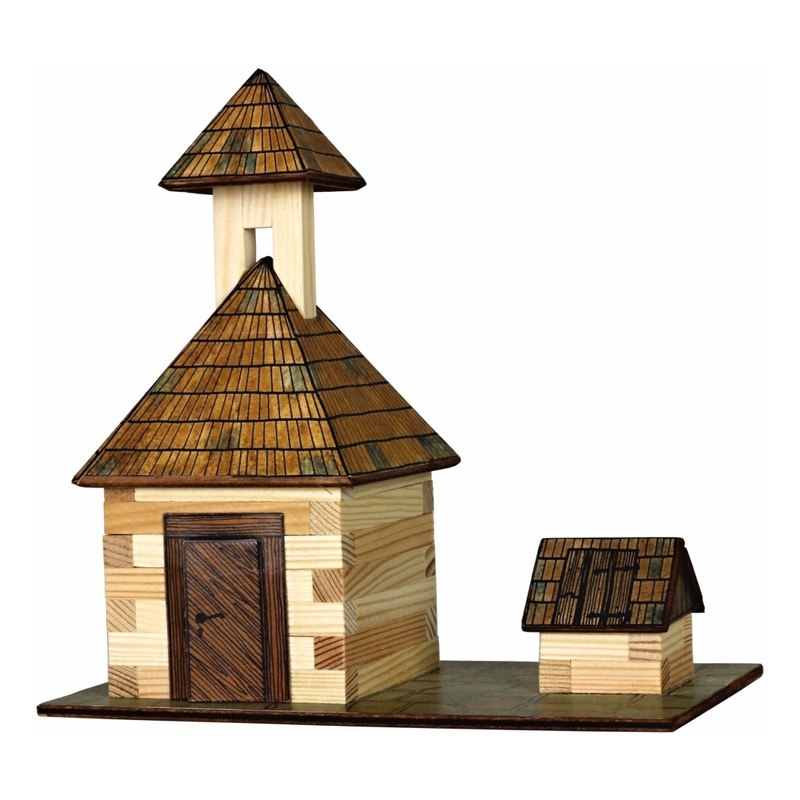 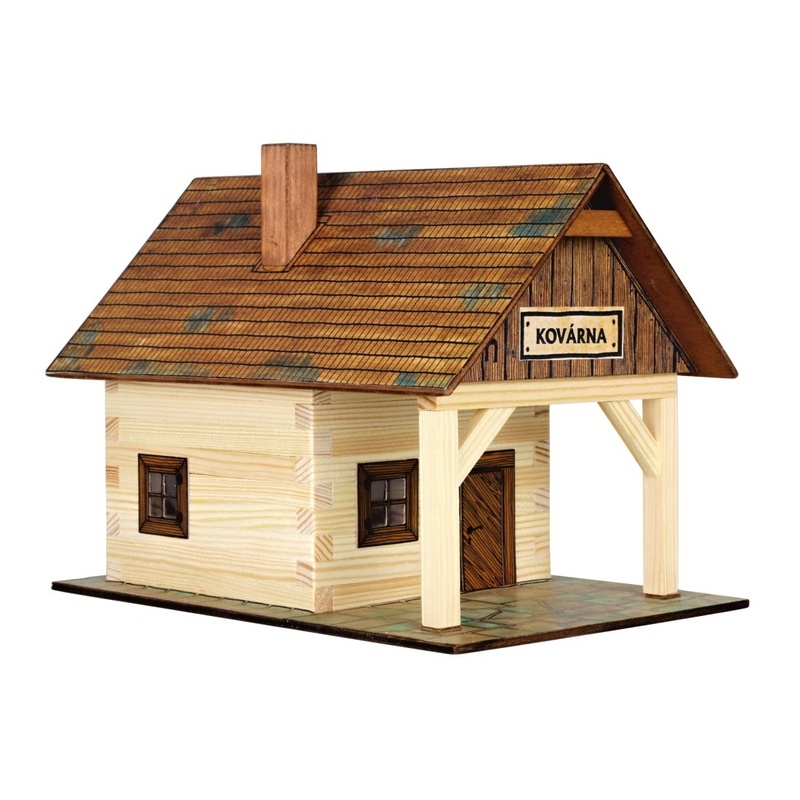 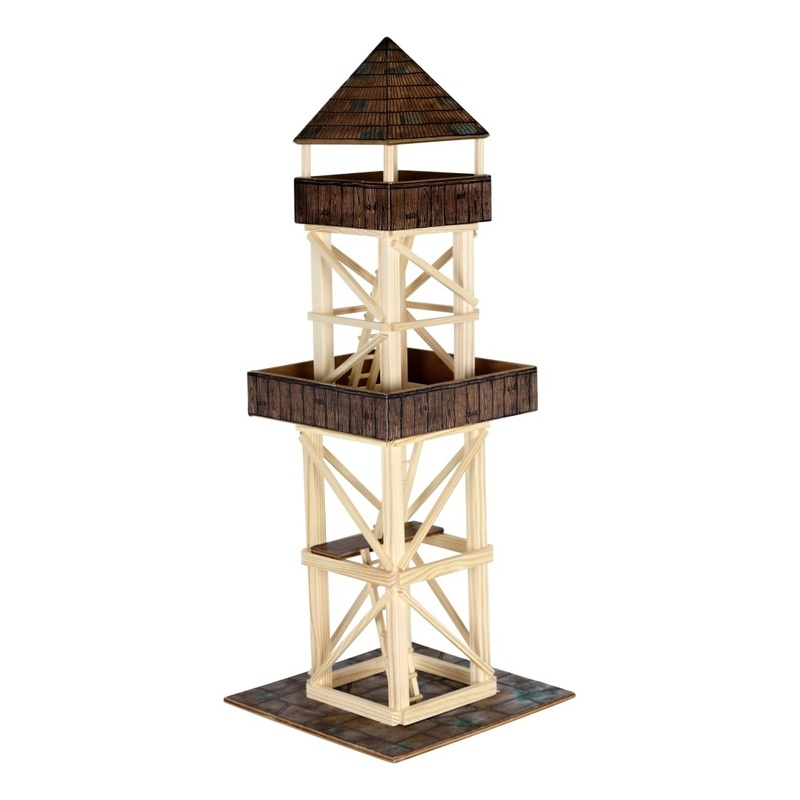 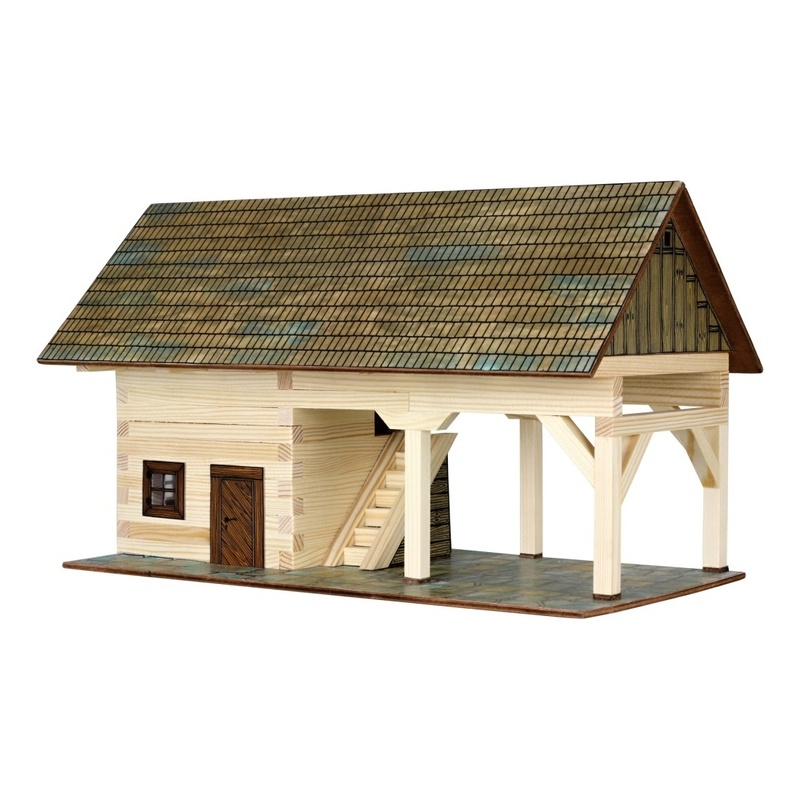 Construction kit to build a miniature scale traditional building from real logs. 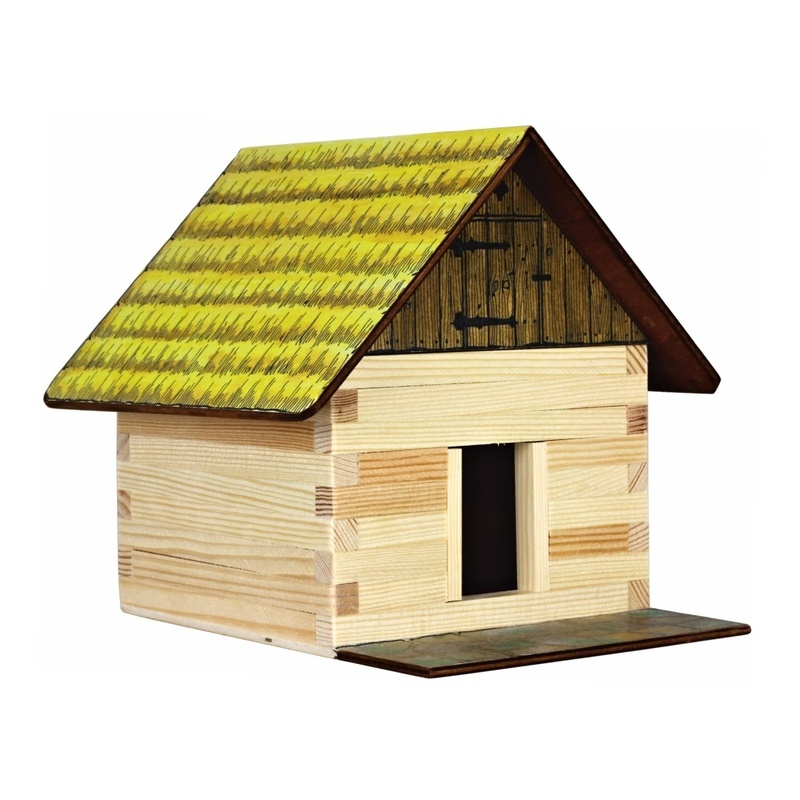 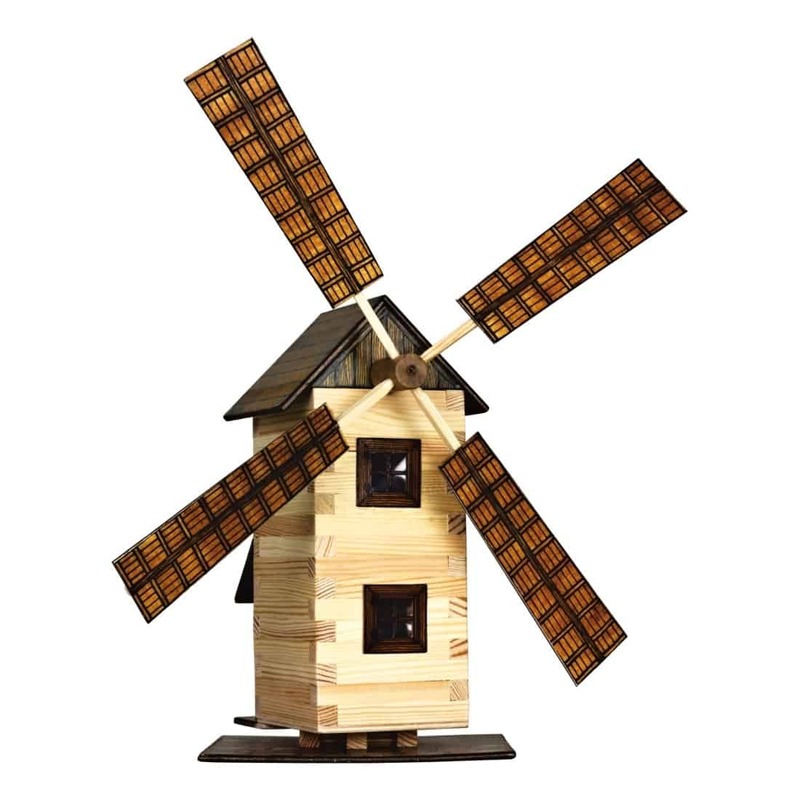 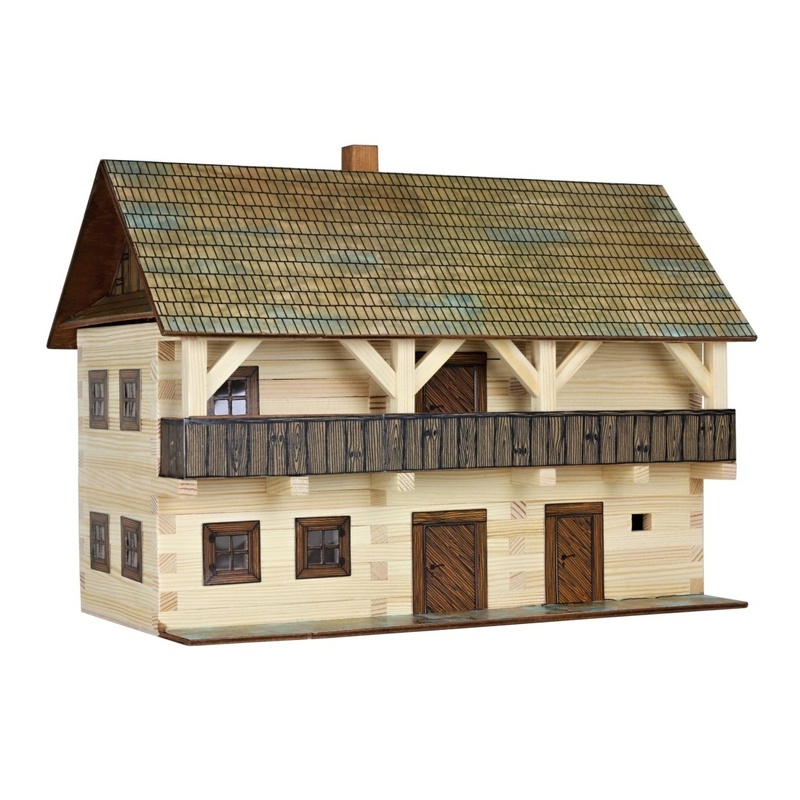 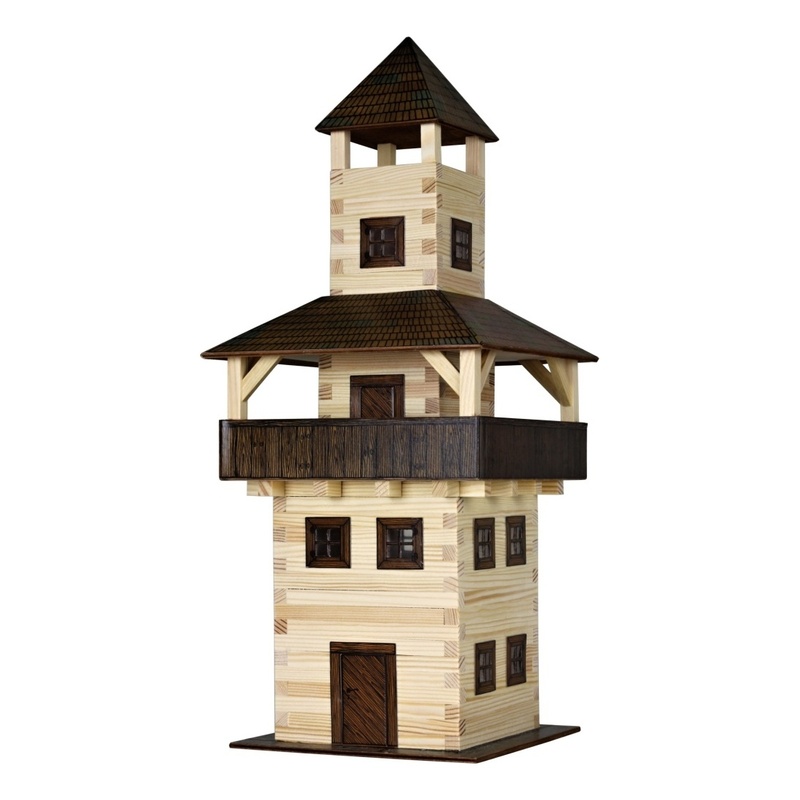 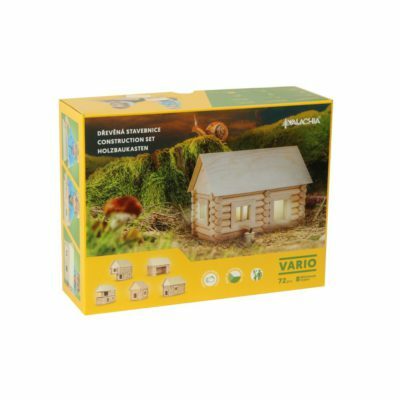 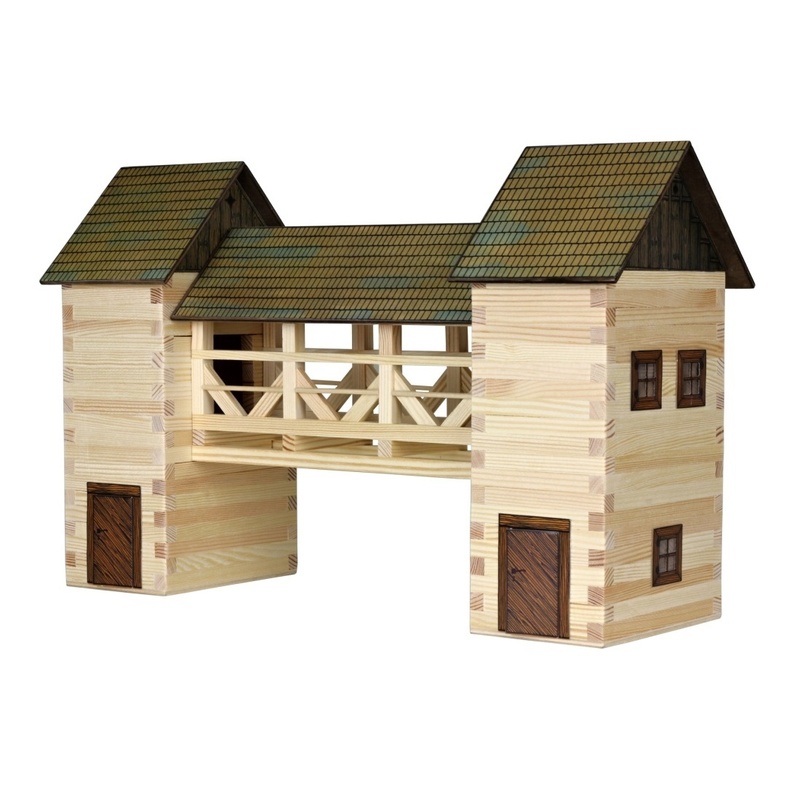 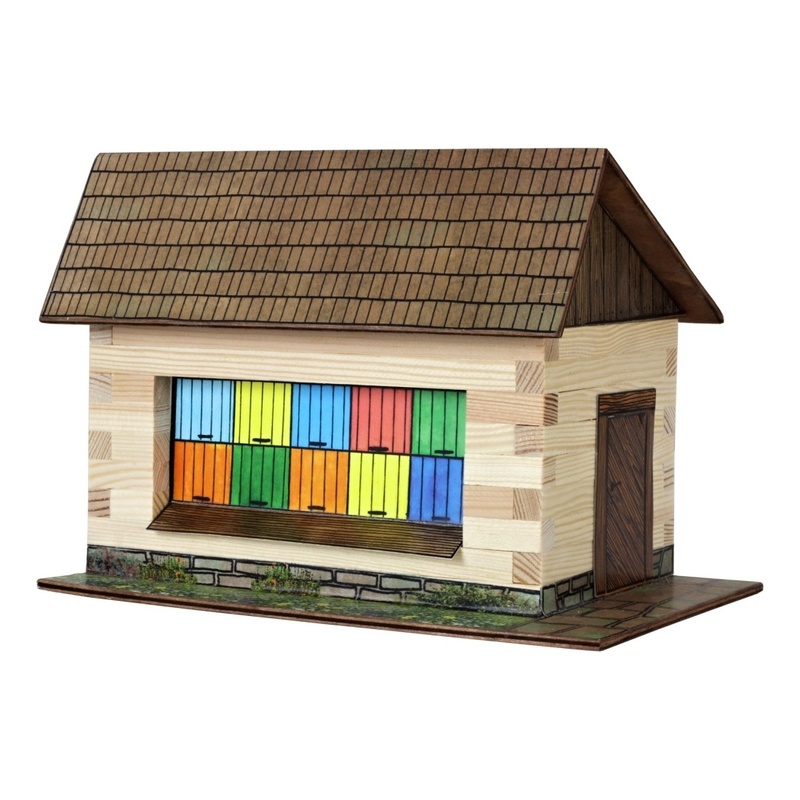 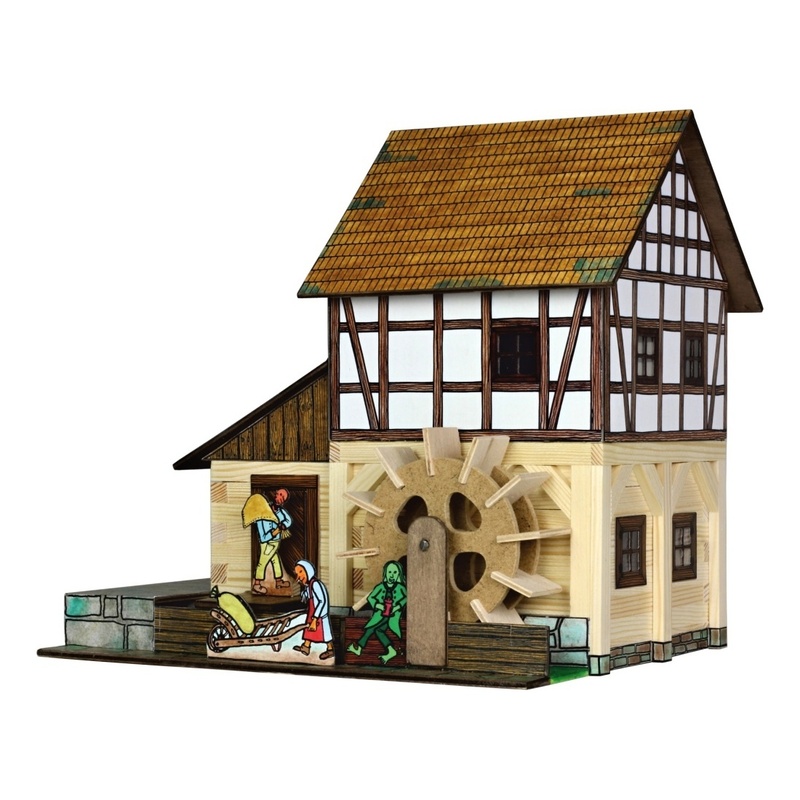 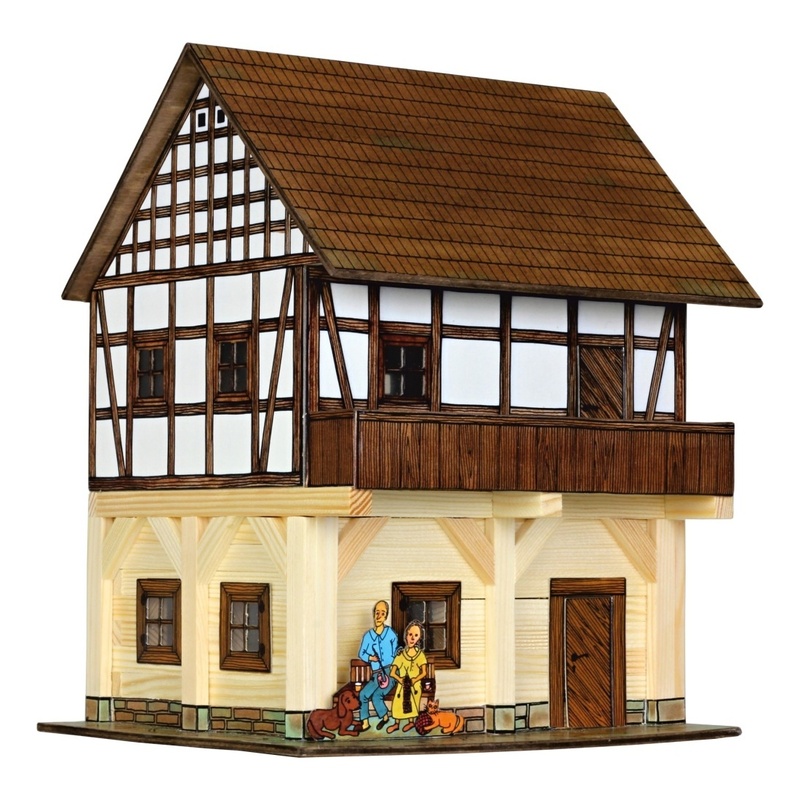 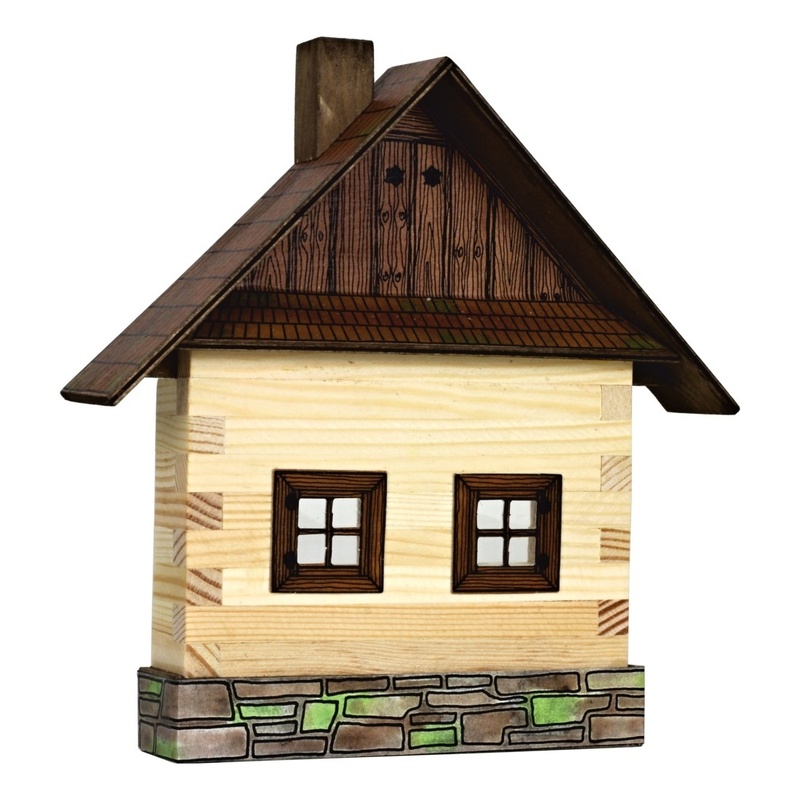 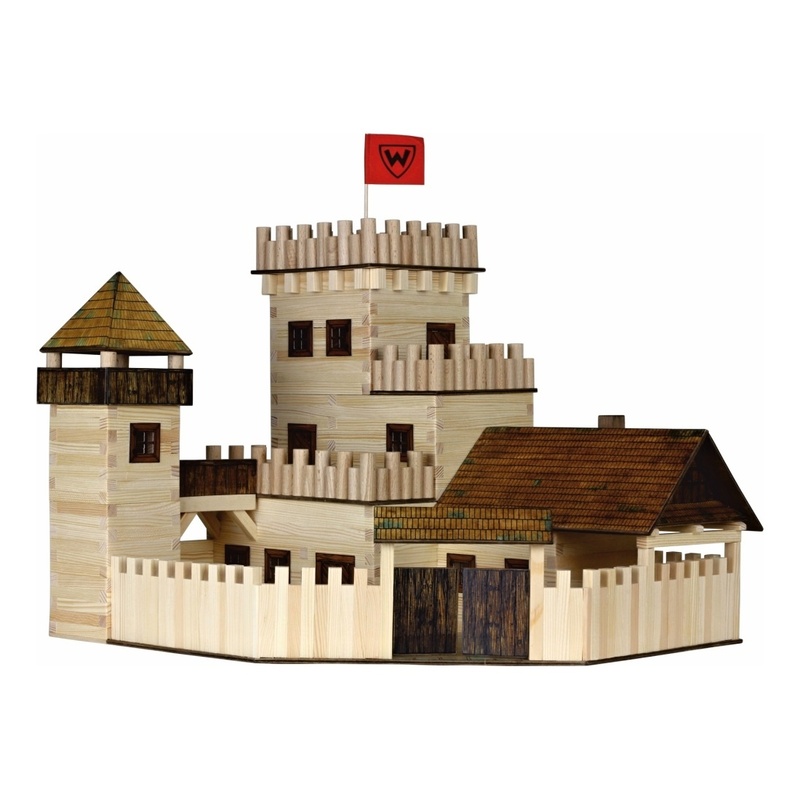 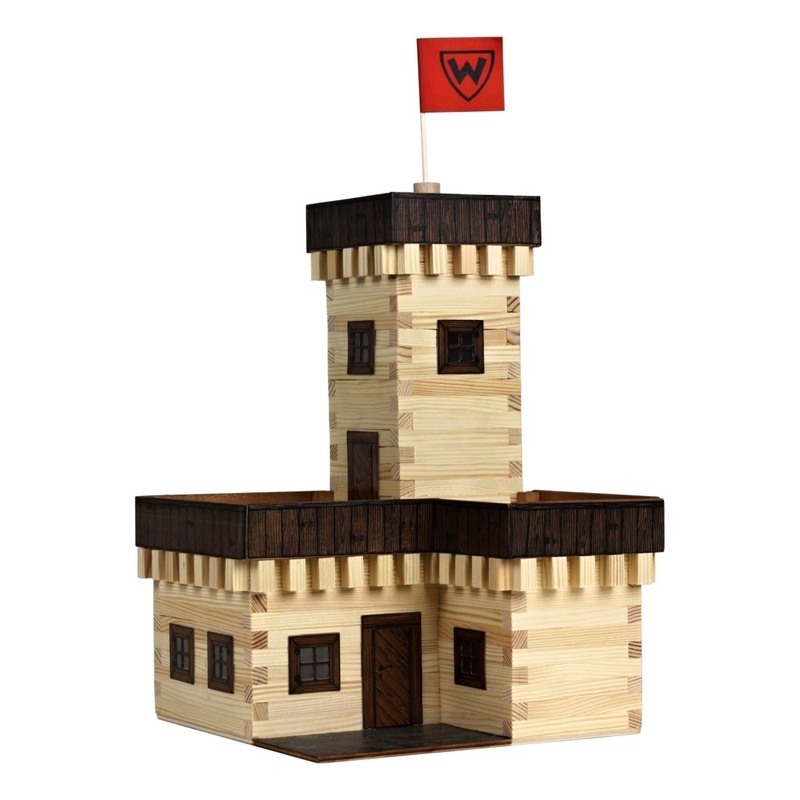 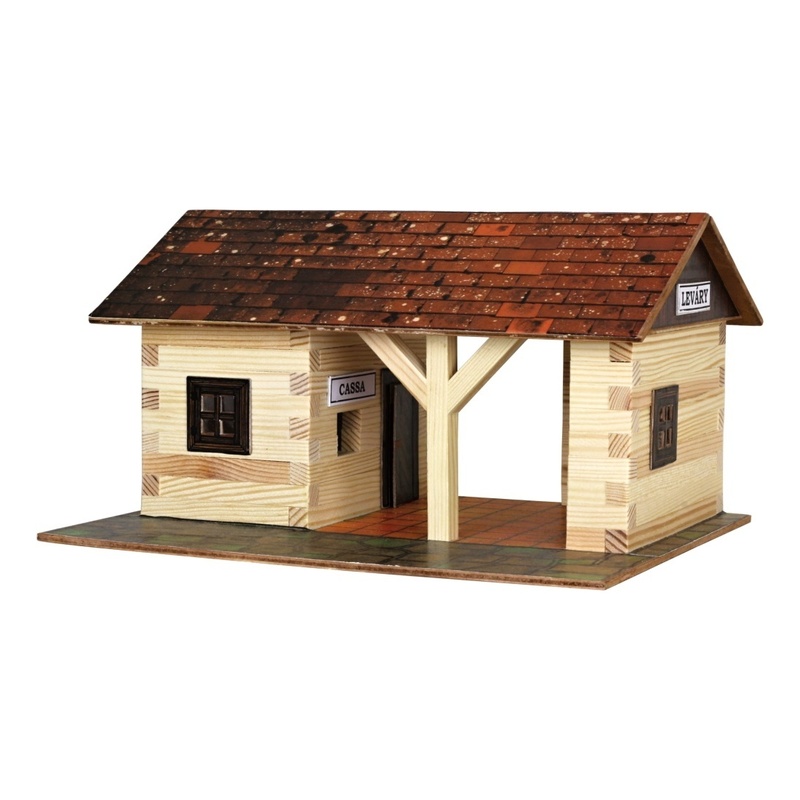 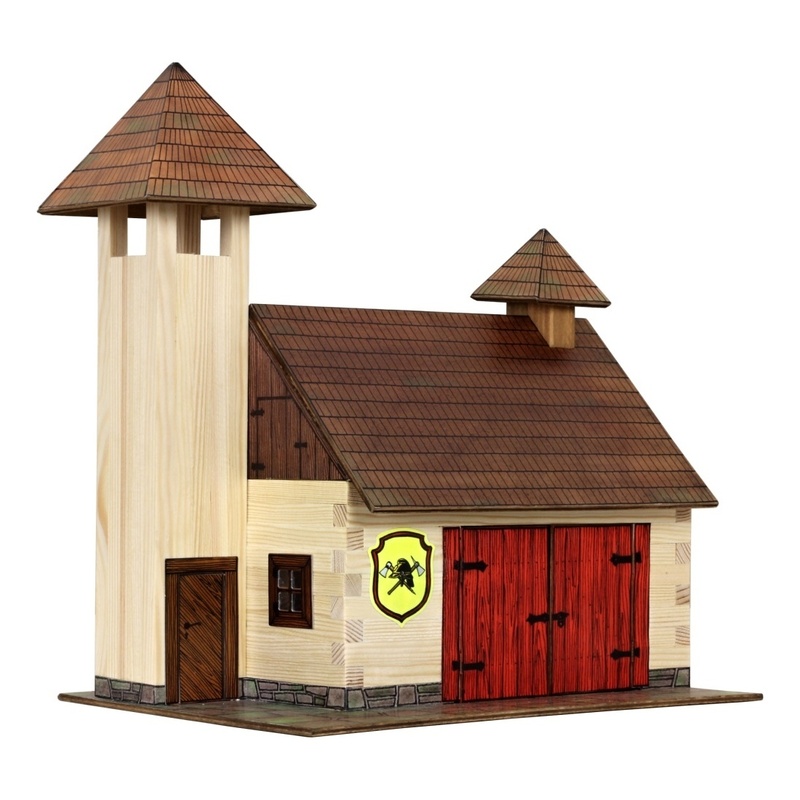 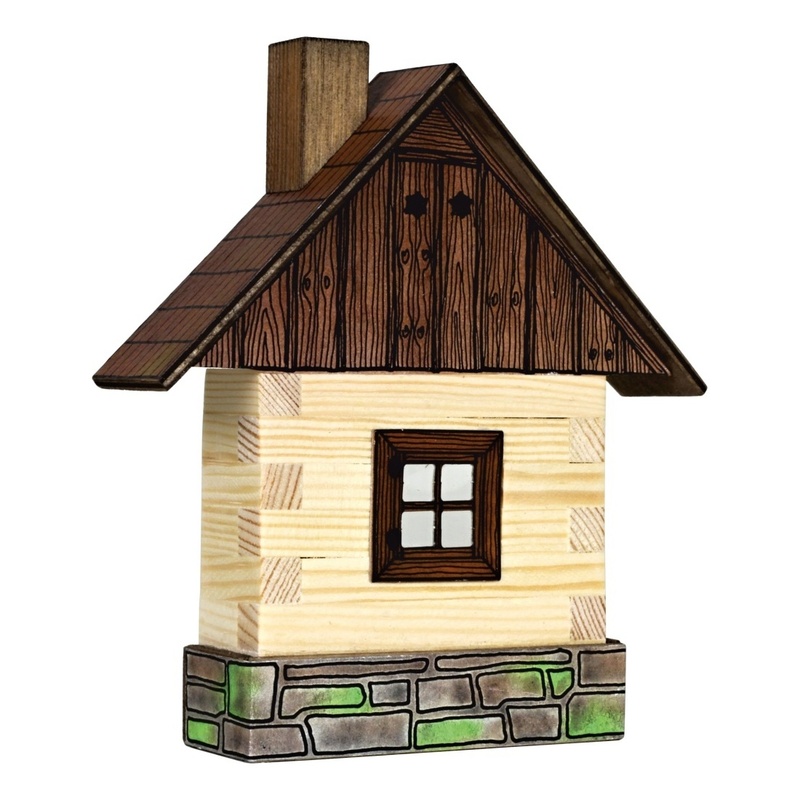 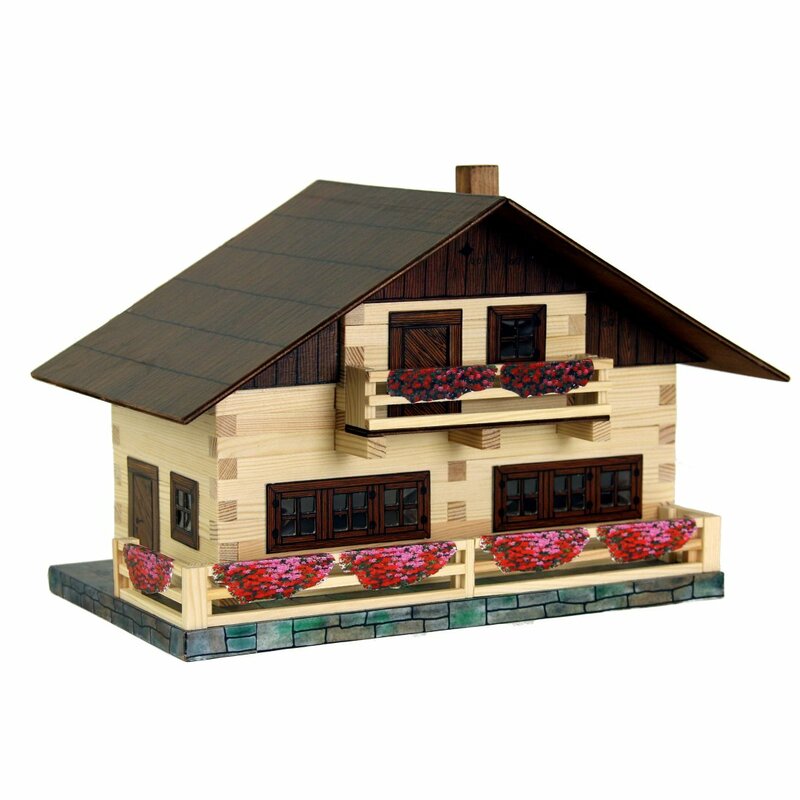 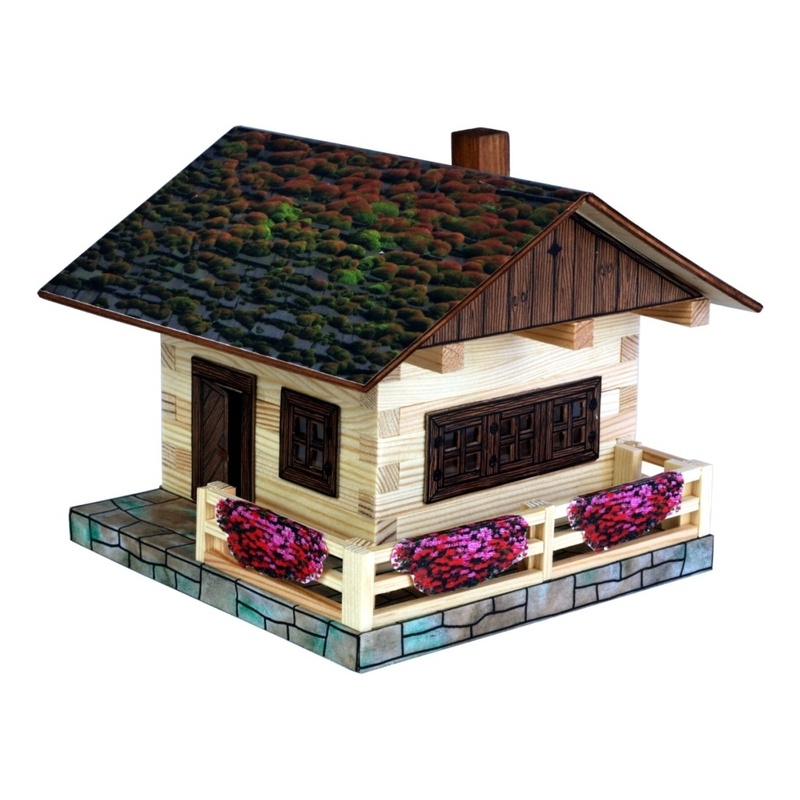 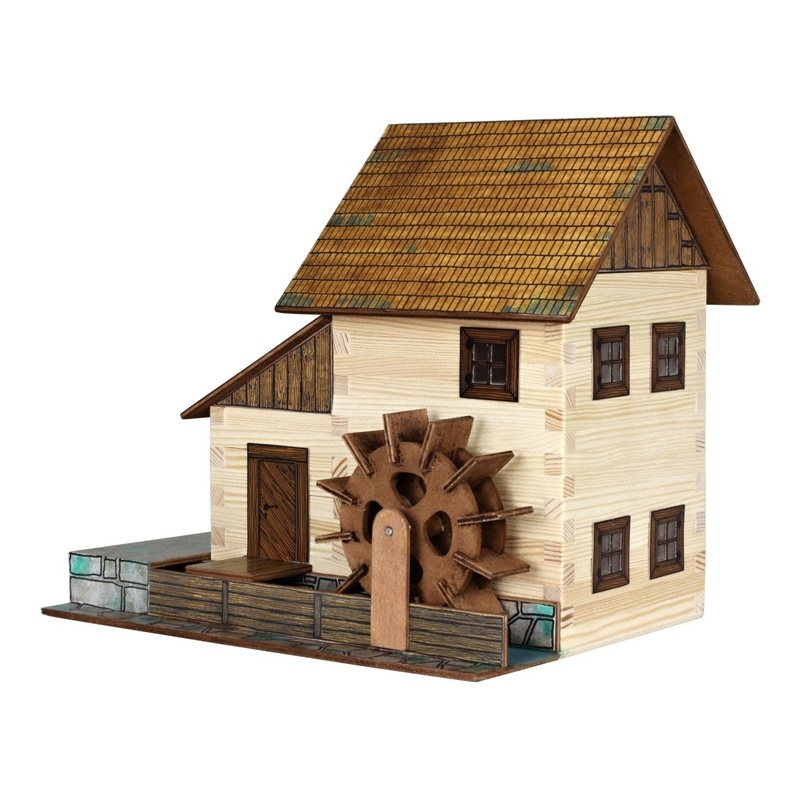 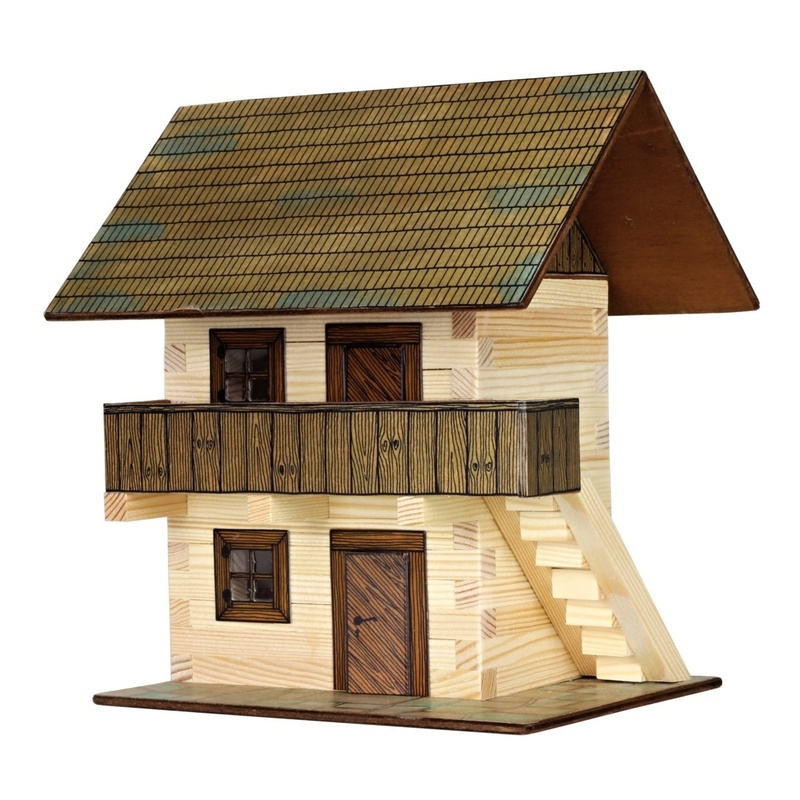 This 3D woodcraft kit comes with wood blocks of different lengths, building parts for the construction of roof, windows, doors, other components and step-by step diagram instructions, i.e. 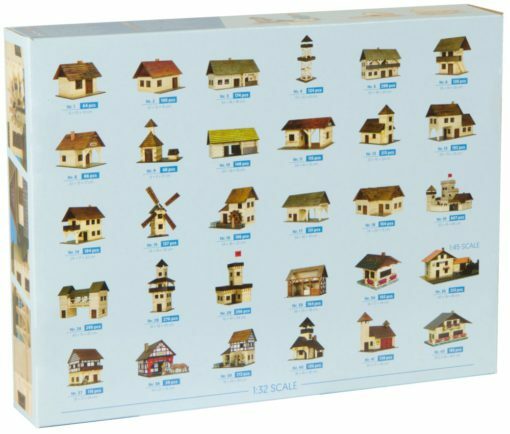 pictograms, with symbols for separate working acts. 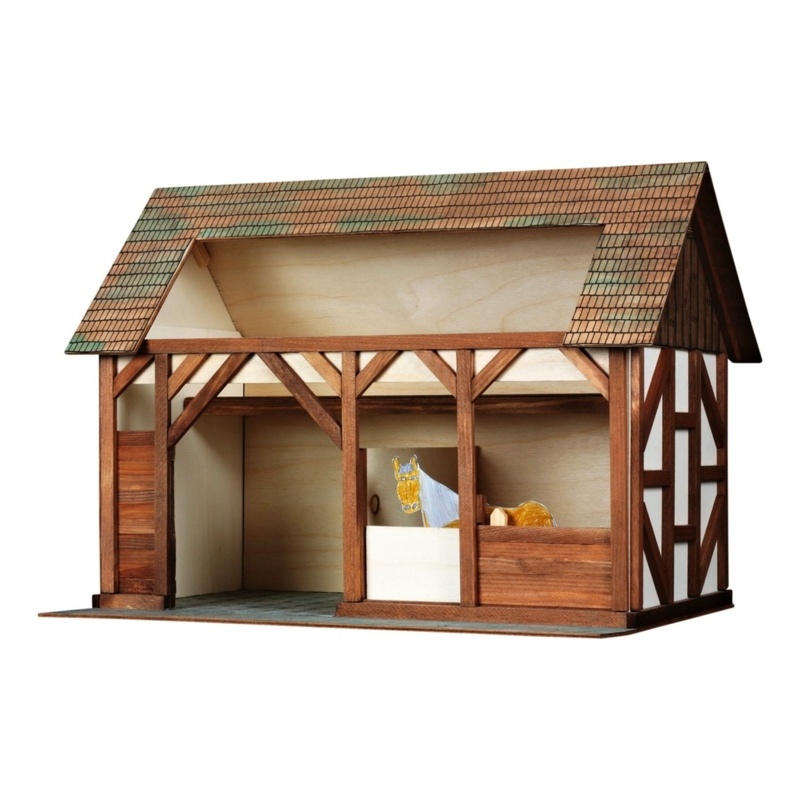 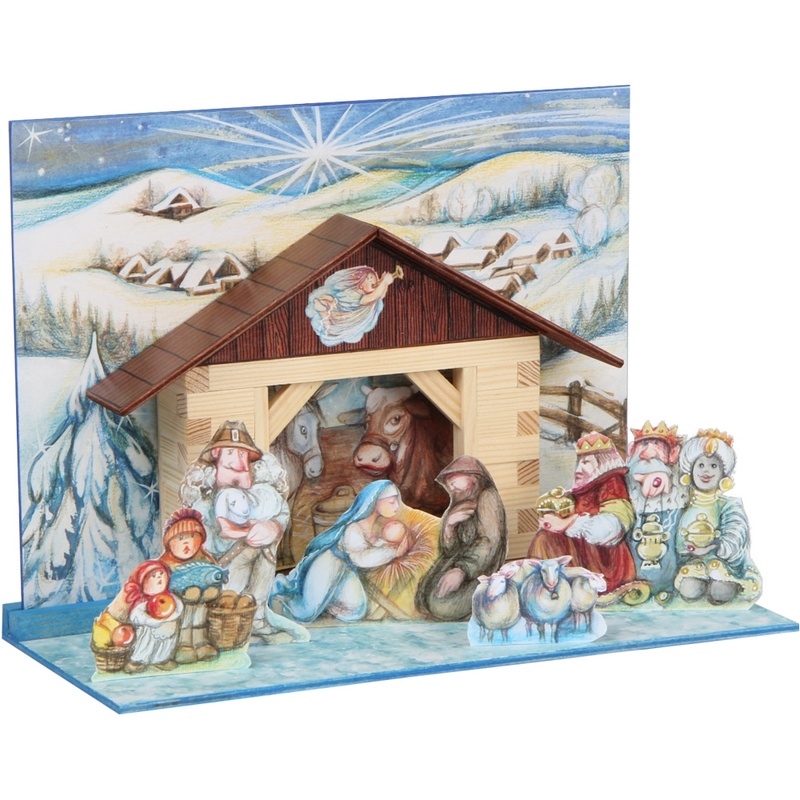 The sets vary with their size, they contain up to 300 parts of precisely cut pine wooden prisms of 9 x 9 mm, gables, roofs and bases made of plywood, doors and windows, even foil representing glass. 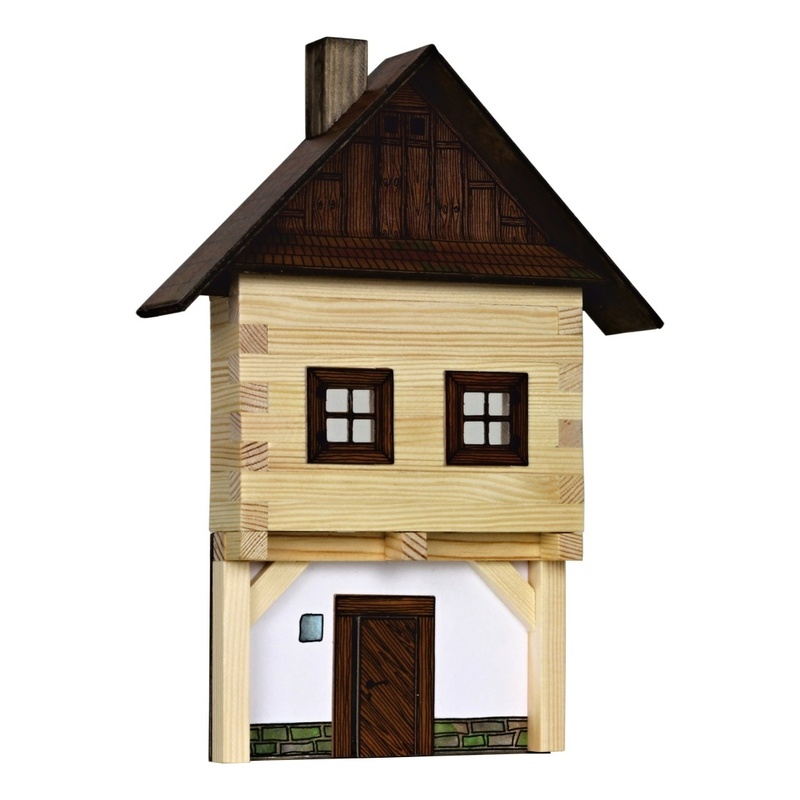 Paper prints can be applied on roof areas. 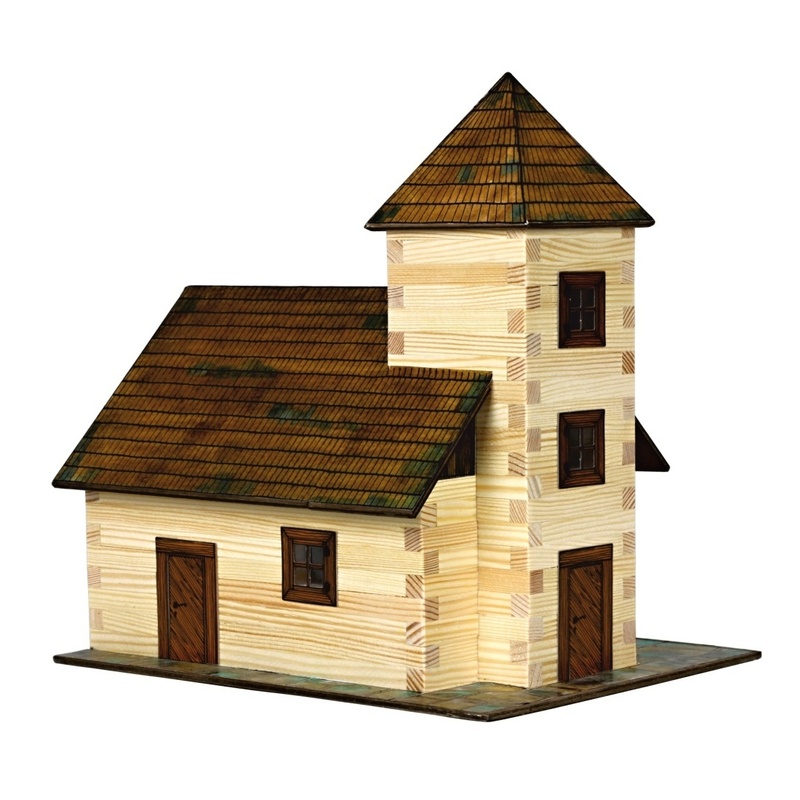 The set also contains sandpaper to use for small adjustments. 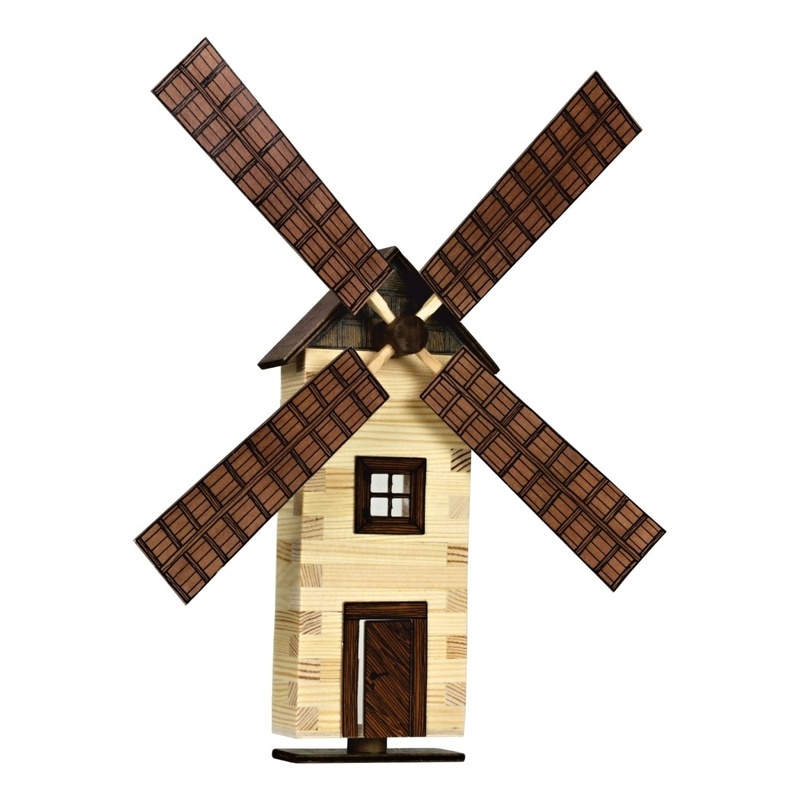 Individual parts are glued with wood and paper glue according to step-by step diagram instructions, i.e. 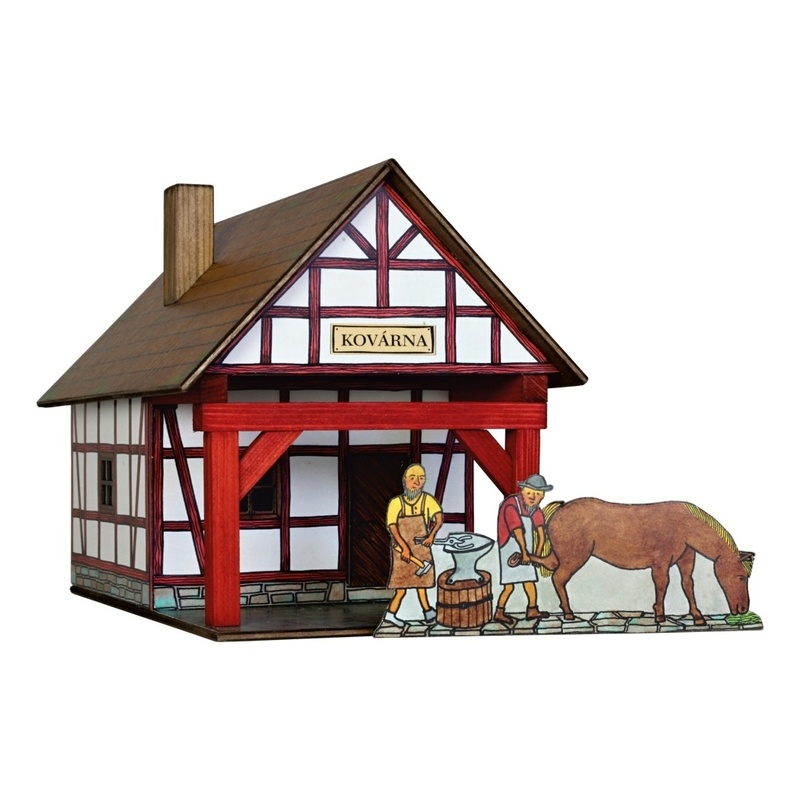 pictograms, with symbols for separate working acts. This simple system also enabled easy eight-language versions of the instructions. 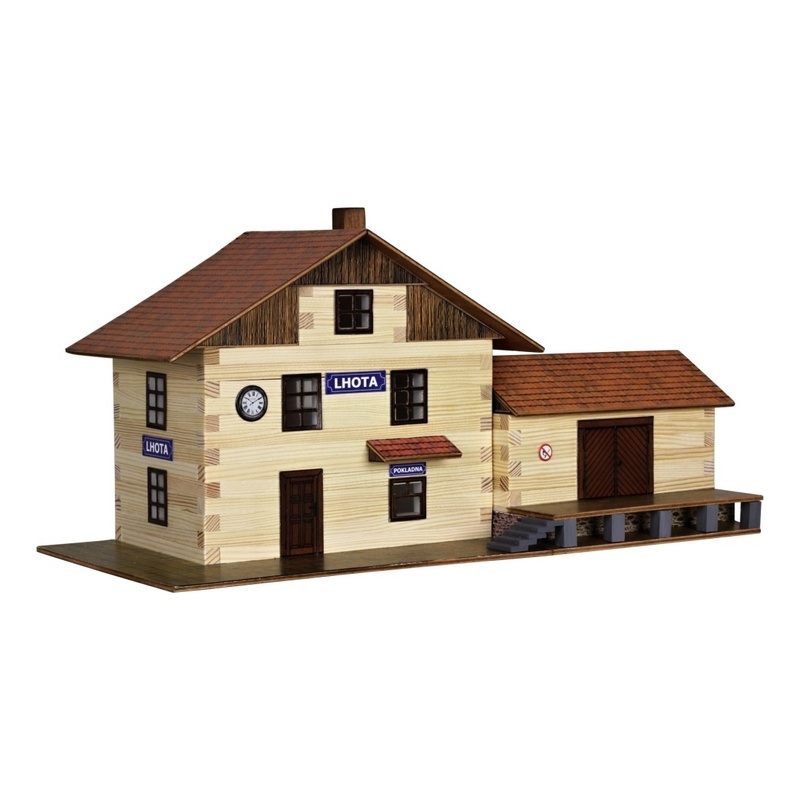 Look great as part of a model railway or imaginative (1:32). Needs PVA or wood glue. 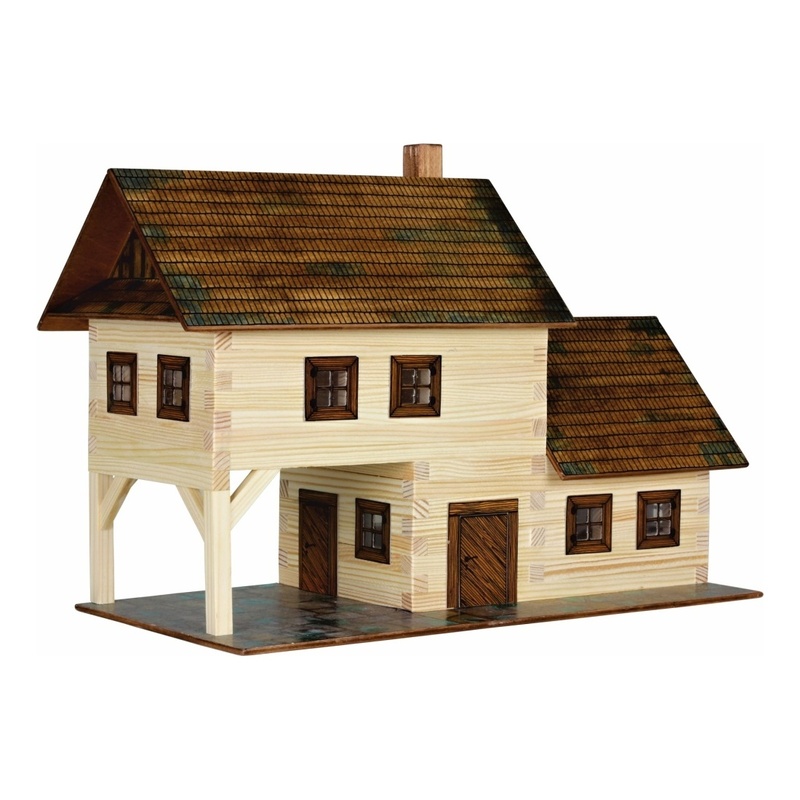 Homestead represents the most common structure in all old villages. 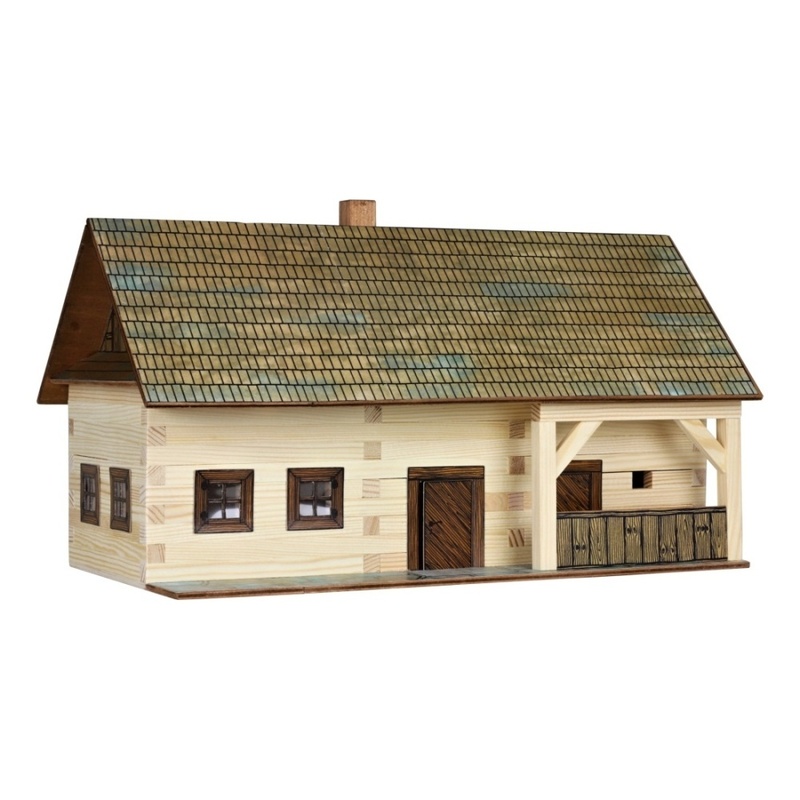 This ancestral home generally included living quaters for the ownerś family, a small stable for domestic animals, a barn for storage of hay, a small granary for storage of grain, and a cellar in the ground. 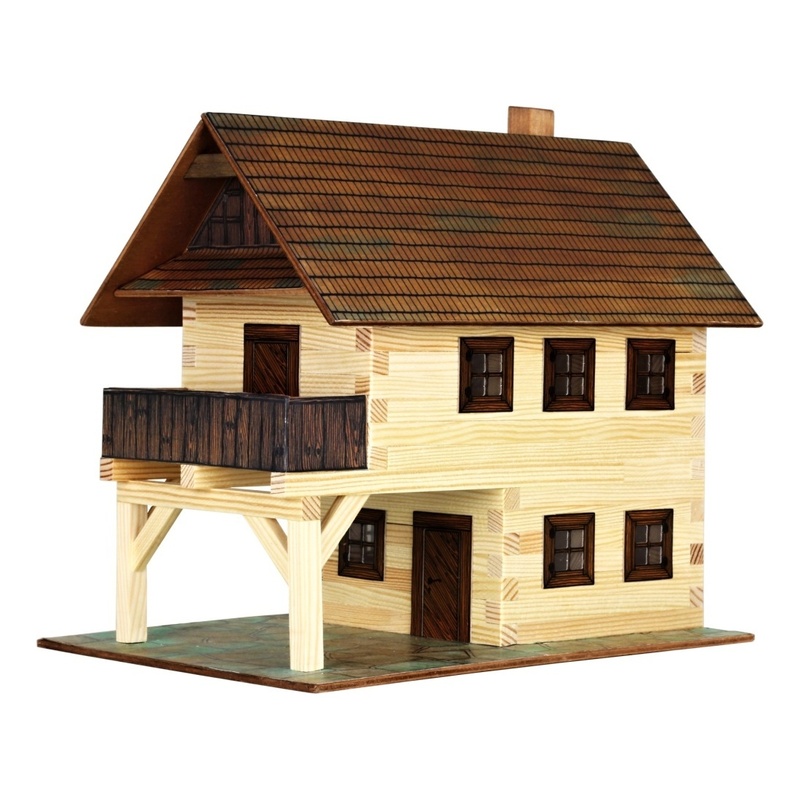 All buildings of this type were basically very similar in terms of their overall design and differed mainly in their size. 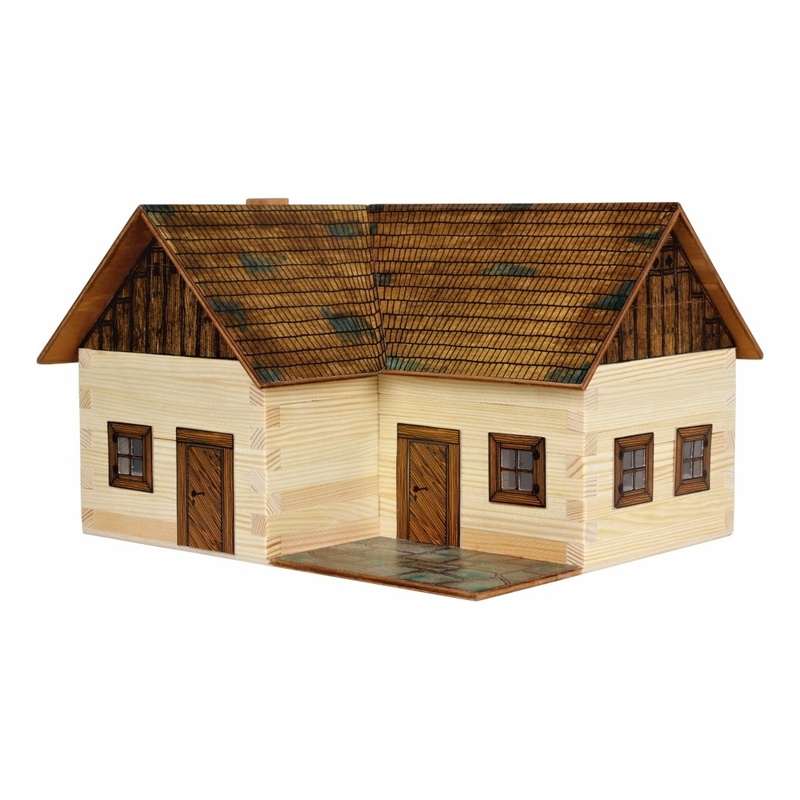 A homestead could either be a part of a village or, as was characteristic, for example, for the mountainous regions, be isolated.